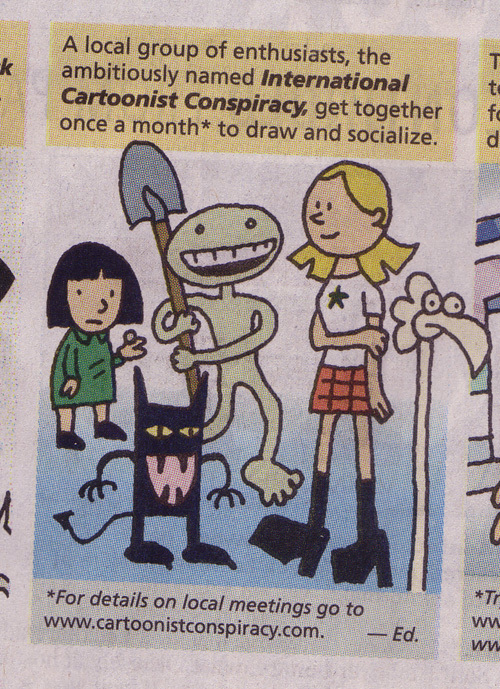 Cartoonists! Have you always wanted to have some big name character make a guest appearance in your comic strip for an exciting crossover? Well, we can’t really help you with that. 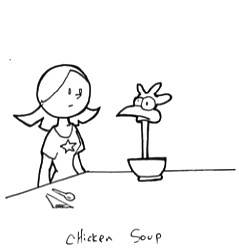 However, Soapy the Chicken is always available to appear in whatever comic strip, book, cartoon or animated film will have him. That’s right, Soapy has no integrity at all… he will appear absolutely anywhere regardless of quality, wit or novelty of the comic… just think of him as the Michael Caine of comics. 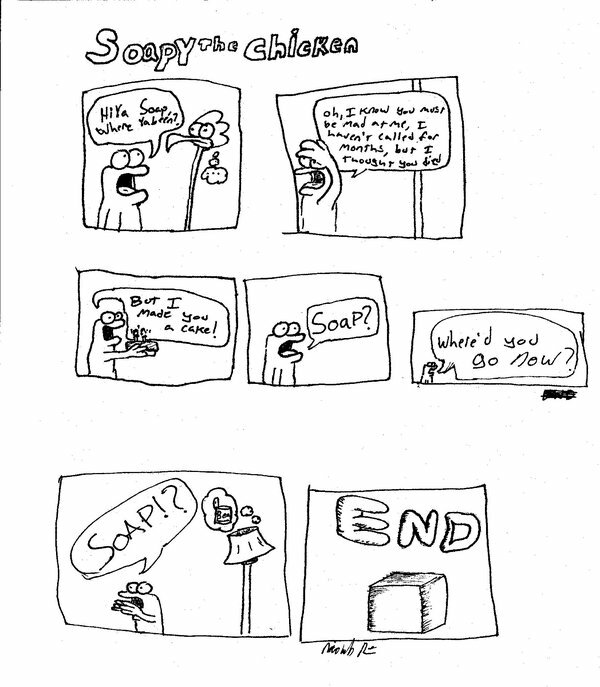 How do you go about getting permission to put Soapy in your comic, you may wonder. You don’t! Actually, upon consideration, Soapy will lodge himself in your pen nib until you can’t help but mar an otherwise fine comic strip with his visage. Best just get it over with and be done with it. However, even though you do not need to ask permission to put Soapy in your strip, we would love to see it when he does go out cheating on us… please send us links or images of wherever he appears. 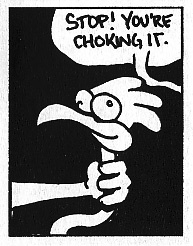 If you do, we’ll link to where you post the cartoon, promote it in our daily post, and archive it here for posterity. 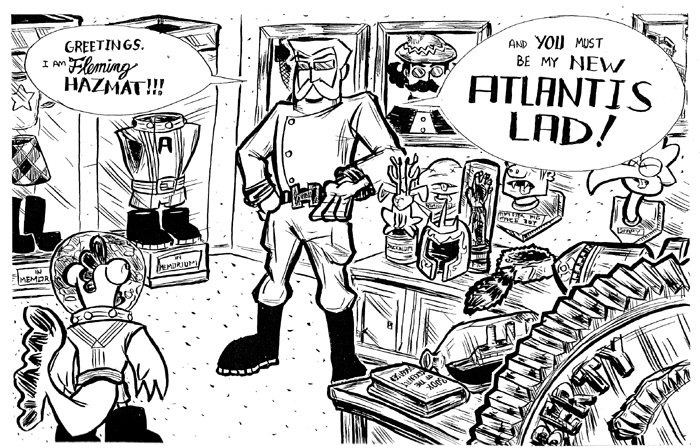 See more of Shad’s work by following the zillion projects always going on at Big Time Attic. 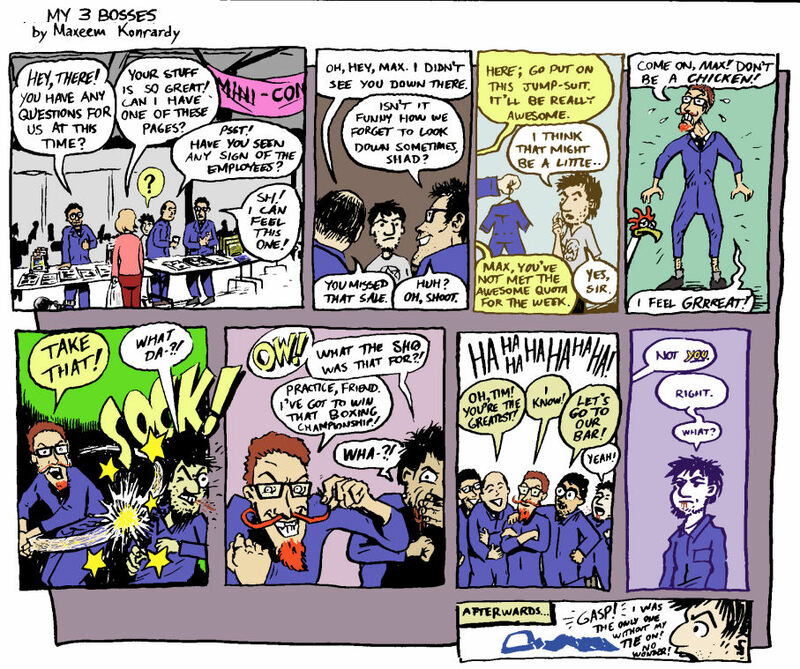 See more of Bob’s work at uptowngirlcomic.com and in the pages of his monthly comic book Uptown Girl. See more of Dan’s work at bewilderedkid.com.